It seems like teachers get less and less time to prepare for lessons today, yet we still have the same demands as before – if not more! What is a teacher to do? I personally subscribe to the work smarter not harder philosophy of life. When I began to notice that more and more of my prep periods were being used for this meeting or that meeting, I knew that I needed help. 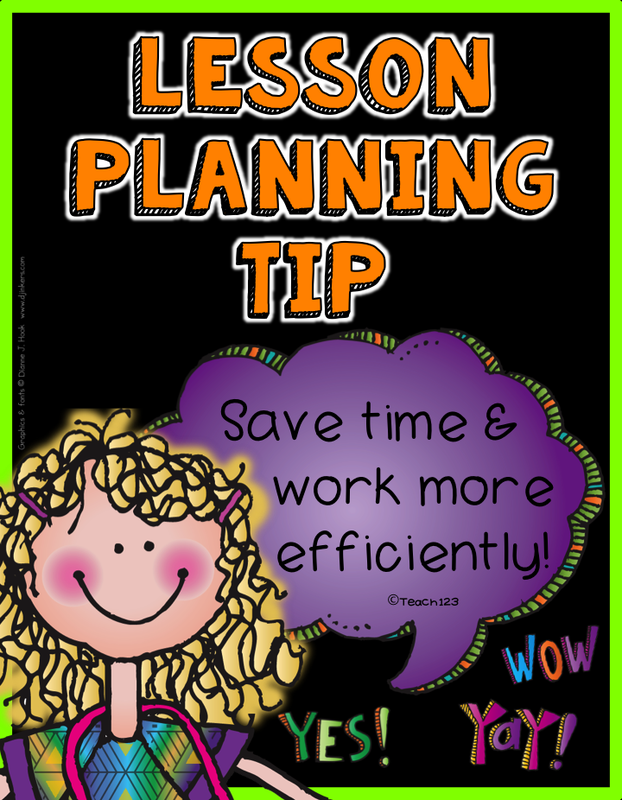 One of the biggest time savers to preparing for my lessons was the actual prep work involved with the lessons. You know all of those hours you spend at the copier, cutting construction paper for centers, and other labor intensive work you do each week. I thought that with a little structure and preparing on the front end, I could save myself time throughout the year. I organize my lessons in a tub like the white one in the picture above. I usually put a post it note on the front that tells the week of the month and overview of the topics. I have a basic outline of my plans using these tubs with file folders for a month at a time. I don’t necessarily have everything written down and committed on paper until the week or so before I actually teach the lessons. I usually know the overall topic/theme I plan to teach so if I find some interesting when I’m surfing the net or I find an interesting new book at the library, I add it to the correct tub. This gives me a wealth of resources to use when it is time to actually begin writing my plans. The first time I used this system was when I preparing sub plans for my maternity leave. I was pleasantly surprised at how much time I saved when I compared a month’s worth of planning this way vs. doing the weekly method. 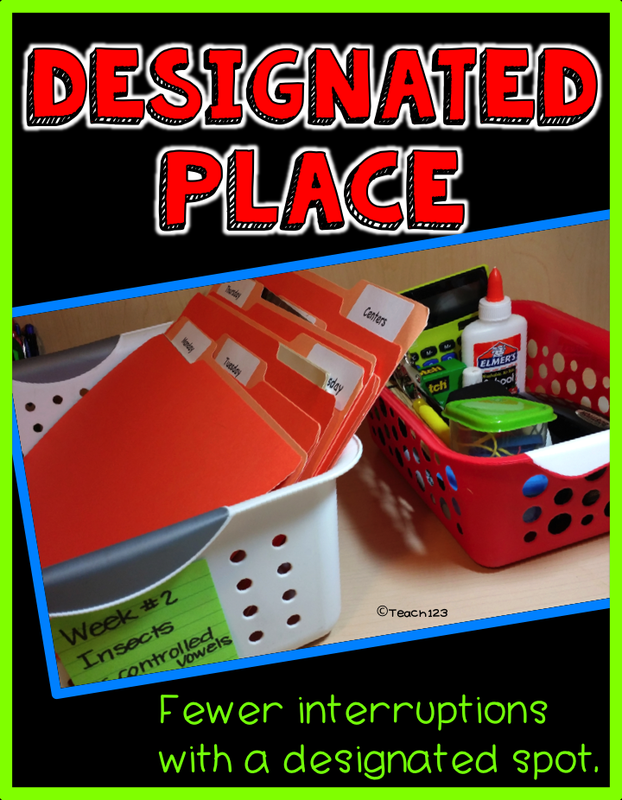 When I pulled folders and looked for resources each week, it was very, very, very time consuming. Did I say it was time consuming? Yes, extremely time consuming! The added bonus is when life throws you a curve – which I found out happens after you have a baby, you already have a pretty good outline of what you plan to do for next week. You save time and STRESS! Plus, because you have the post it notes giving the highlights of what you plan to teach, you have a mental picture of what is coming up. I found the quality of my lessons were better because when I was shopping or at the library or on the internet, I would spot something that would fit in with a future week’s plans. The next important step of this plan was recruiting volunteers to help with the prep work. Some years I had one parent that came in each week, other years I had two moms that traded off weeks. I recommend making Thursday as a your designated volunteer prep day because school is not always in session on Fridays or Mondays. Usually by Thursdays, I know for sure what my plans were for the following week. My volunteer would come in on Thursdays and take that week’s white tub and open each day-of-the-week file to see if there was something that needed to be copied or prepared (construction paper cut, mini books made, etc.). I also kept a small basket of supplies for the volunteer next to the white tubs. Although our work room had most of the supplies that the volunteer would need, occasionally scissors would magically walk off and other supplies ran out. I found there were fewer interruptions to my lessons if there was a tub of supplies ready to go. Plus, this made the volunteer’s time efficient. Do you have any tips to share? I would love to hear them. Don’t forget! April 20th is Public School Volunteer Week. 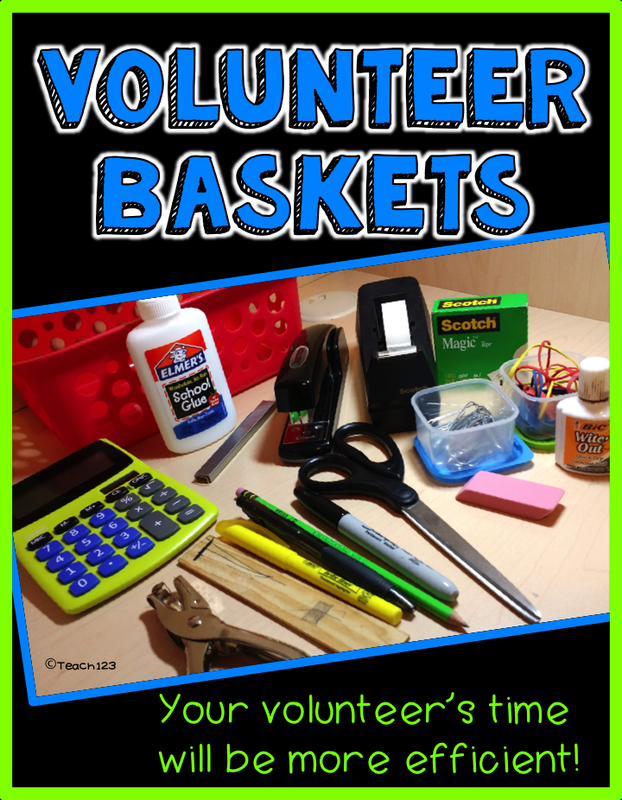 Be sure and check out my Volunteer Pinterest board for more tips plus there are some freebies you can use to thank your volunteers. Click on the picture below.